Braunstone Frith Primary School in Leicester is using IRIS Connect to help drive the support and development of their trainee teachers. Walk the halls of Braunstone Frith Primary School in Leicester and you could meet any one of the 8 enthusiastic NQTs and 1 RQT (Recently Qualified Teacher) who they have been supporting for the past year. Visit any classroom and you will see the confidence that live remote coaching has brought to those trainees. Since September 2014, Education Consultant, Mike Fleetham, has been working with the team at Braunstone Frith to support the learning and development of their trainee teachers. 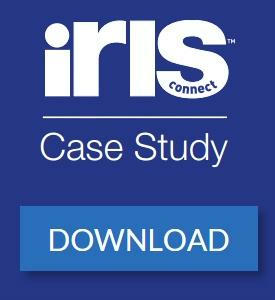 They chose to use IRIS Connect in addition to their existing lesson study process to develop a unique programme that would accelerate the quality professional development of these 9 staff members. Mike and Germaine took a coaching rather than mentoring approach. “Instead of telling them what to do or giving them advice, we helped them draw out their own solutions to challenges. So when they were watching themselves on video we were prompting them with questions to help them come to their own conclusions about what they needed to do. We found this to be more effective because the NQTs felt they had more ownership over their professional learning,” explains Mike. 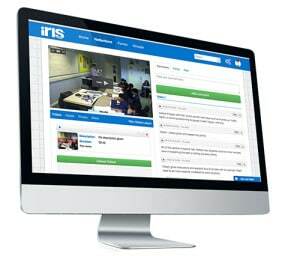 “We chose IRIS Connect because we wanted our NQTs to learn quickly and become reflective practitioners,” explains Germaine. We wanted to be able to really support the NQTS and help them develop. The NQTs got up and ran with it. With the support they received from Mike Fleetham and IRIS Connect’s in-ear coaching tool, the progress they have made and the improvement to the quality of their teaching has been extraordinary. NQT, Ellen Watts, says: “At the beginning of the year I was looking at how to develop the children through my questioning with my coach. Through live remote coaching, he taught me loads of different ways to build that up. I would be doing my PowerPoint and he would say to me; ‘This would be a really good time to ask this question’, or; ‘Why don’t you ask them to come up and point to the picture if they can’t give you an answer’. Towards the end of the year, the trainees developed showreels of their practice to demonstrate how they had progressed. They picked key moments of their development across the year and edited them into short 5-10 minute films. “For example, one person chose behaviour management as their focus, so she put together snapshots throughout the year of her demonstrating how her behaviour management skills had improved. She showed a clip of carpet time in September, carpet time in January, carpet time in June and you could see through the sequence of clips how the learners had improved because of the techniques she was using,” describes Mike. I created a showreel demonstrating how well my children have developed a growth mindset to show my professional learning progress.It began with a lesson right at the start of term where the idea was there, but it wasn’t very clear what I was trying to do. Then in the videos towards the end you can really see how the children have developed as a result of how I’ve developed, in terms of the language and questioning that I’ve used. I couldn’t have done any of this without IRIS Connect, it’s really helped me a lot. The end point of the year’s NQT programme is the development of a personal CPD plan. “So, they’re choosing what they do and how they do it making them independent lifelong professional learners,” explains Germaine. The natural next step for rolling out IRIS Connect in the school is to have those experienced NQTs working with their colleagues who are less familiar with the technology. The plan is to have people working in pairs or trios, each including one of the 8 NQTs who will then help the other person(s) to become familiar with IRIS Connect and how to use it as a CPD tool. “Certainly the progress that the NQTs have made and the improvement to the quality of their teaching has been extraordinary. IRIS Connect is definitely having an impact on the quality of teaching and learning here at Braunstone Frith,” explains Headteacher, Amelia Smith. It’s helped us focus on people’s individual PD needs which then had an impact on whole school targets. PD is now much more individualised but also helping us to get people to be more accountable for their own learning rather than just waiting for the school to sort it out.